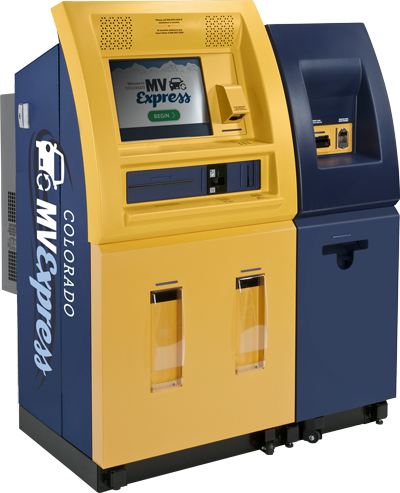 Located inside the Castle Rock Motor Vehicle Office in the Douglas County Wilcox Building, the self-service DMV kiosk is a fast, easy way to renew your registration and walk away with your tabs! Simply scan your renewal postcard or type in your license plate number; pay your taxes and fees via credit card, cash, or check; and your registration and license plate decal prints immediately. Renew. Print. Go!